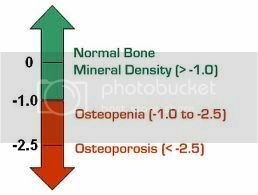 Osteoporosis treatment in Ireland is a prevelant health issue and at DublinPhysio.ie we manage many patients with this condition. As it is a “silent ” condition screening, early detection and prevention are the key principals of management. Early detection of osteoporosis is essential to minimize pain and suffering. 1 in 5 men and 1 in 3 women (1 in 2 over 65) as well as children are affected by osteoporosis. It is preventable and treatable in the majority of people but detection Is essential. Osteoporosis has many different causes (risk factors). If you have one risk factor or more it is recommended that you speak to your GP about that the possibility of getting a DEXA scan. Since the disease is silent a DEXA scan of the spine and hips is the only way of knowing if you have it. 1. Family history of osteoporis? Is there a family history of osteoporosis, hip or wrist fractures, loss of body height or increased spinal curvature. Sudden, severe episodes and upper, middle or low back pain. So if you have any doubt about osteoporis check with your GP.